Those of you that know me, follow me on Twitter, or are friends with me on Facebook know that I have been obsessed with Max Landis’ Superman American Alien. The series ended last week, and I’m totally bummed. And before reading it, I wasn’t even a fan of Superman! 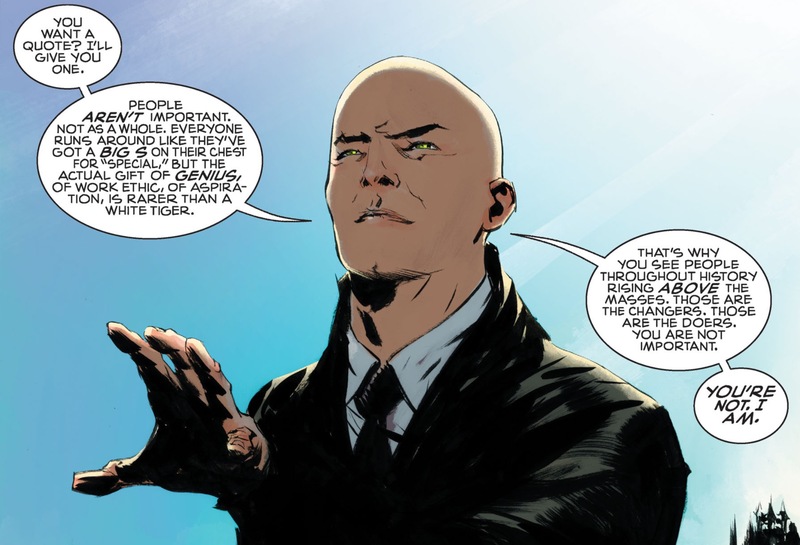 For those of you not familiar with the mini-series, there are seven total issues. 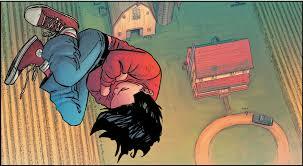 Each issue captures a segment of Clark Kent’s life growing into the person we know as Superman. Each issue is penned by Landis but the art for each of the seven books is taken on by a different team. Landis has said that he wanted the art style of each issue to match the tone of the issue: a brilliant idea; not only is the writing absolutely stellar, but the switch in art every month gave the reader yet another thing to get excited about. I will not list all of the artists, but I will say that if you have not read this series, the initial book, drawn by Nick Dragotta, has an 8-10 year old Clark figuring out how to fly, and the art style of Dragotta captures the whimsy and innocence in a way that’s perfect. 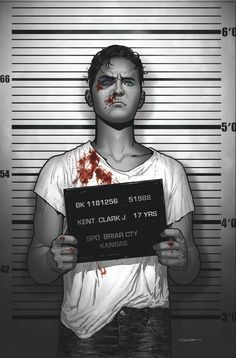 The second book (art by Tommy Lee Edwards and Evan Shaner) is completely different, drenched in a sketchy art style that accompanies the brutal violence that Clark is faced with in the issue. The books give us Clark in high school, college, and as a young adult figuring out his way in the world – sometimes nice, sometimes absolutely ruthless. The trade (combined seven issues) of Superman American Alien is set to release on October 18th, 2016. I already have a request in to my department chair to order 35 copies so that I can teach it in my Graphic Novel/Comics class next year. This book allows one to teach anything they’d want to teach: tone, mood, symbolism, irony, character, motivation, author intent…the list goes on and on. It’s literary. No doubt about it. And if you do doubt me, then you have not yet read it. I will be making a study guide for teaching this series, and I will share it for free because I want you to steal it and teach this book in your own classrooms. And if you are afraid of teaching comics because of the massive universes and confusing on-going story arcs, you have nothing to worry about; another great thing about this Superman book is that there is nothing you need to know before jumping in. This story arc stands alone. I recently had a teacher challenge me on the appropriateness of comics in the honors classroom, just because…well…comics. This title kills that argument, and not that there haven’t been hundreds of titles before this that have killed that argument, this one just does it again, and with gusto! I have to thank Max Landis for an amazing few months. 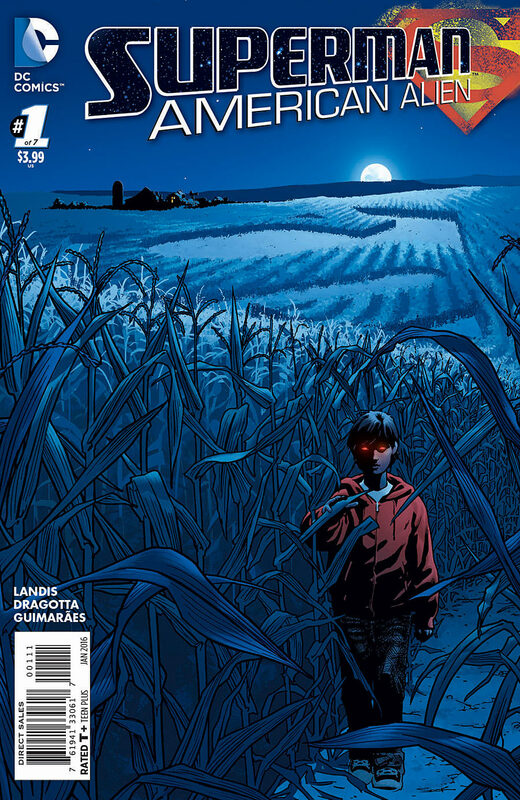 American Alien was by far the most excited I’ve been to see a book come out of my pull list pick-up…ever. I’ve had love affairs with comics: Locke & Key, Archie, Manifest Destiny, Saga, Spider Man, etc. But none of these titles got me as excited as American Alien. Is it my favorite comic of all time? That’s hard to say, but there are so many things going for it, it’s top three for sure.